Handsome integrity. 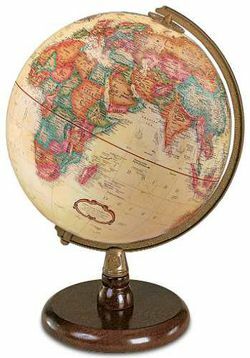 A solid hardwood base and die-cast semi-meridian provide the setting for this beautiful 9" diameter raised-relief globe. The Quincy desktop world globe with its opulent walnut-finished base, offers today’s most current place names with interesting old world touches.